Premium tyre quality, brought to you by Lekker Bikes: the ThickSlick tyre is one of the most stronger urban bike tyres available. This tyre is very popular amongst our Lekker riders, and for a good reason: it’s got twice the material thickness of standard road tyres. This not only means an extended tyre lifespan, but also a puncture protection that is so great that you’ll never want to hop off your bike. The slick tread of the tyre rolls smoothly, while offering plenty of traction for the user. Its lightweight and soft compound makes it a perfect tyre for daily commuting, but also if you fancy some more physical rides. Greatest way to combine speed and comfort! 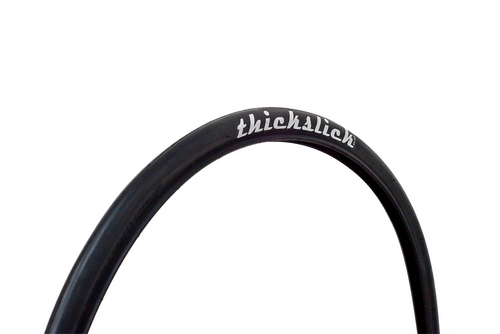 The ThickSlick tyre is available in two options: 700×25 or 700×28. 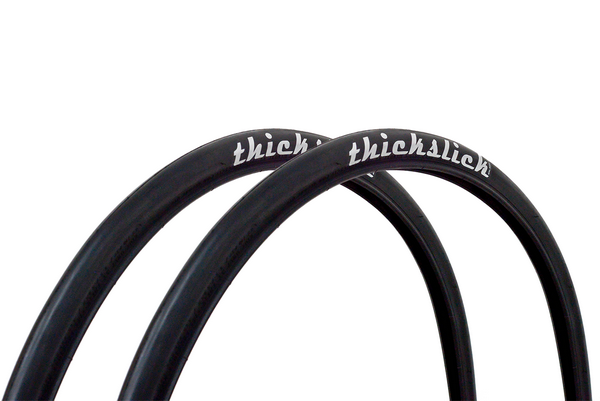 Note: Price is for a single tyre, the ThickSlick does not come as a set.